At Prostate Cymru we encourage supporters to join together and form Friendship Groups to help us raise awareness of prostate disease across Wales. One in eight men will get prostate cancer at some point in their lives, with the risk rising to one in four if there is a family history. Worryingly, it is anticipated that by 2023, this will be the most commonly diagnosed cancer in Welsh men. This means there is a significant need to increase awareness and that’s where a Friendship group can help. 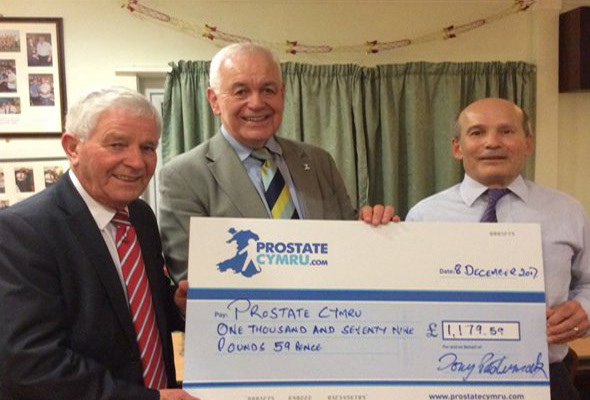 In many instances groups also organise and support fundraising, as well as representing Prostate Cymru in the community. At a Prostate Cymru Friendship Group you have lots of fun, make new friends and meet other interesting, community spirited people. If you’d like to get involved and start a group, get in touch and we’ll support you every step of the way. provide training and support to volunteers within the group who have an interest in raising awareness of prostate disease within the community. You don’t need any fundraising experience, just enthusiasm and the willingness to meet up regularly to organise and support the activities within your area. You can commit as much or as little time as you’d like and you decide how you fundraise and what events you’d like to put on. If you would be interested in starting a Friendship group, we’d love to hear from you. Simply get in touch.